Hylomar Universal Blue is a polyester urethane based sealant that is non-setting and nonhardening even at high temperatures. The compound is resistant to a wide range of fluids including all industrial fuels, oils, water and brine, air, turbine and piston engine combustion products, water, water/glycol and methanol mixtures, petroleum and synthetic diester lubricating oils, gasoline and kerosene fluids (Avtur & Avcat) and fluorocarbon refrigerants. 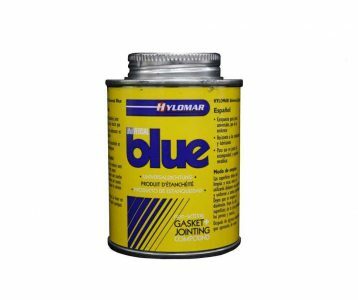 Hylomar Universal Blue can be used to seal joint faces or threaded parts. Hylomar Universal Blue will be added to Cart!